Decoupage is a wonderful distraction when I need a break from writing and / or editing. 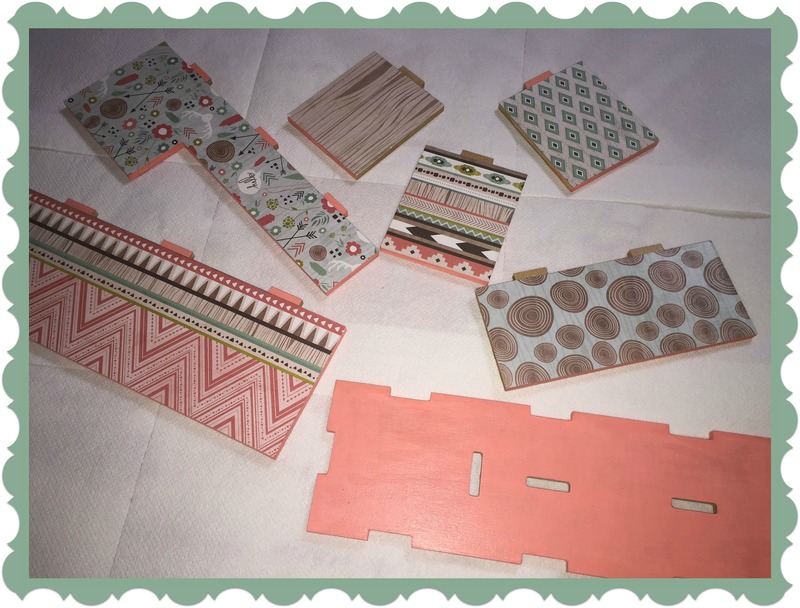 As soon as the finished letter rack sat on my kitchen bench (you can read about that project here) … I headed back to Chadstone to find another item to make and paper. 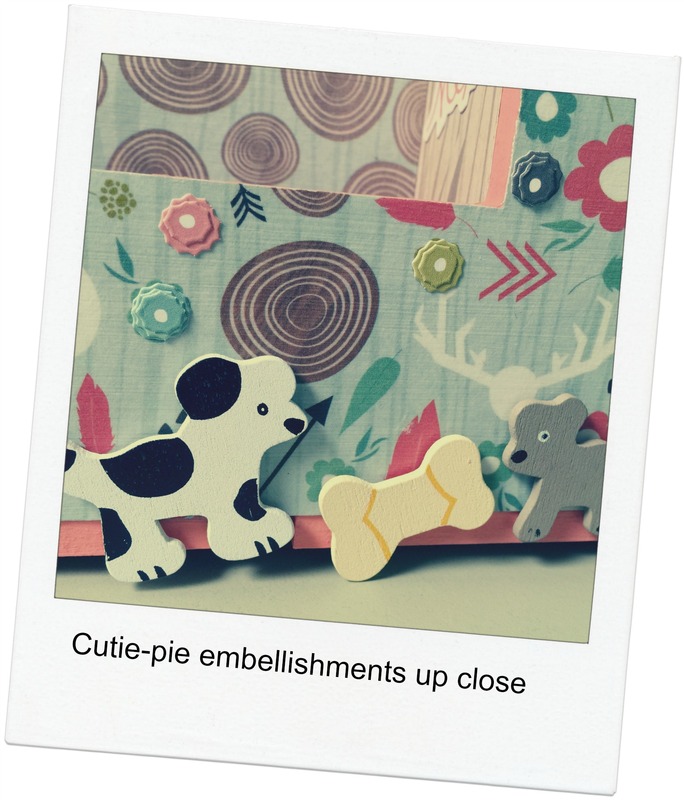 By this time I’d googled all about Mod Podge – an all in one adhesive and sealer and a favourite of paper crafters around the world. And how to use rollers, foam and bristle brushes to much better effect. A desk caddy caught my eye, and I quickly found another pack of paper I liked in the reduced box. This time I decided to use paint on the edges rather than leave the MDF au naturale. I also decided to use some embellishments this time. Some flower stickers, and some words that came with the pack of paper. And some dear little cork doggies I found at my local shopping centre. 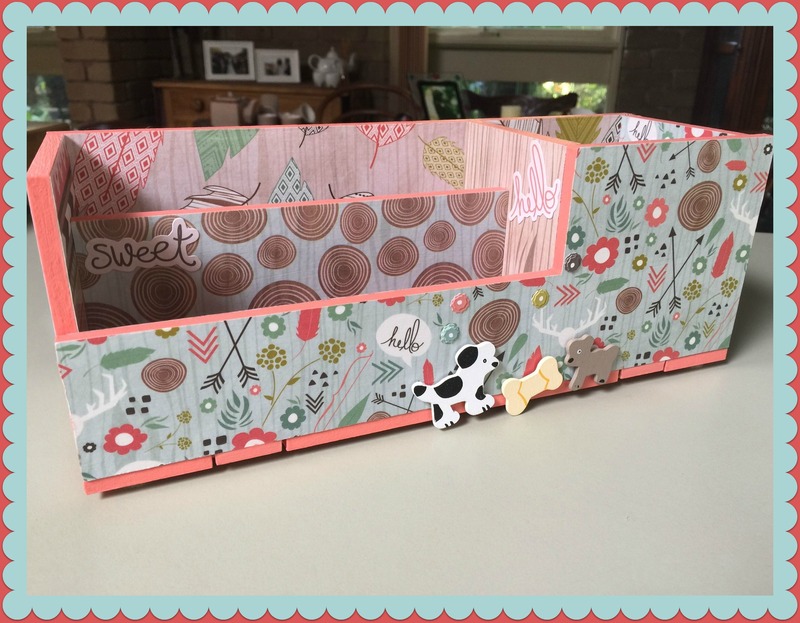 There is no end to the assortment of supplies you can buy for paper crafting! It actually looks gorgeous and really isn’t that hard to do, even for someone with very clumsy hands like me. I’ve already picked out my next project – and this one will involve photographs as well as the pretty papers, and more embellishments. How will I ever find time for writing? ?